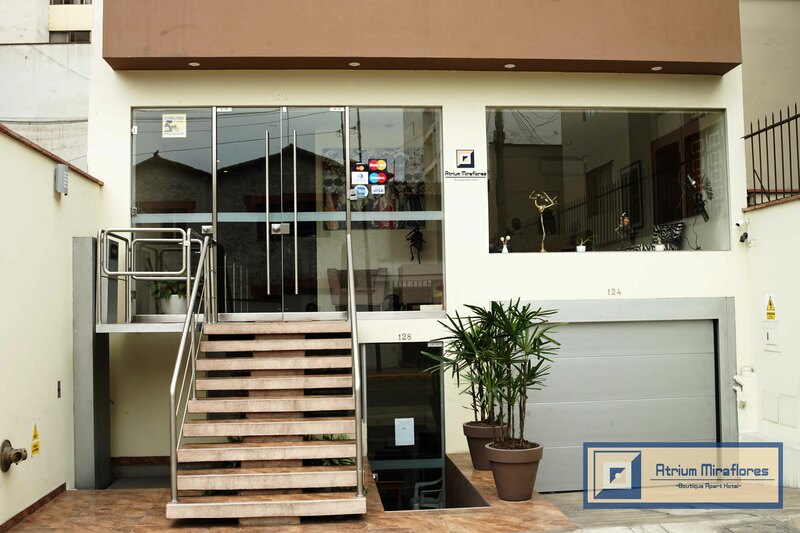 Located in one of the main districts of Lima, in the center of the cosmopolitan district of Miraflores, a place full of life, with stores of all kinds, the best restaurants of Perú, multiple centers of entertainment, art galleries and flea markets, but at the same time a quiet and safe. Our comfortable and cozy aparts and our permanent attention to details will make you feel like home, for a short or long stay. Lima is a enchanting city, it’s grey sky in winter and even in the warm summer make everything shine with a particular light, it’s soul and personality gives it a colorful touch. The only way of getting to know it, is by mixing with it’s people, learning the customs, buying in it’s little neighborhoods stores, going for a bicycle ride... ultimately, living in it! In Miraflores Atrium boutique apart hotel you can live this experience. We are waiting for you.